LED lighting technology has come a long way. LED lighting fixtures in general have already transformed residential and commercial areas but edge-lit LED panel lights brought things up a notch with the combination of performance, style and energy efficiency. 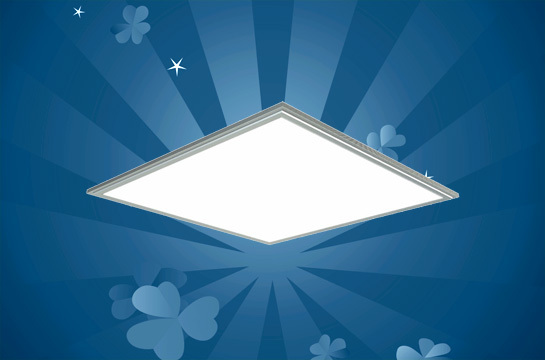 Edge lit LED flat panels are special types of LED flat panels designed for drop in ceilings. These flat panels are the ideal replacements for ceiling lighting applications requiring approximately 2 inches or less as the installation depth. Today, these lighting fixtures are used in indoor settings such as residential buildings, theaters, cafes, bars, restaurants, train stations, museums as well as in advertising (i.e. signage). Edge-lit LED panel lights are super slim lighting solutions that feature high output light emitting diodes along the edge. Acrylic sheets and a diffuser serve as a light guide plate to distribute light homogenously, resulting to high quality and glare-free illumination. A reflector panel intensifies the light. These parts are secured by a lightweight aluminum frame mounted on a solid back plate that is typically made of aluminum as well. It is important to note that construction features such as power supplies are optional with backside mounting and remote mountings. Edge lit LED Flat Panels also come with seismic brackets available on request. LEDs are a high-intensity light source because of their electroluminescent properties. They are made of semiconductor materials such as arsenide, gallium and aluminum. When an electrical current passes through, the reaction of the electrons result to the release of energy in the form of photons, and consequently, light is produced. The panels are lined with LEDs on one, two, or four sides. Edge lit LED flat panels are capable of achieving 80 lm/W luminous efficacy offering one of the best smooth lighting outputs. There are a wide range of color temperatures, including WW (Warm White, 2800-3200K), NW (Netural White, 3800-4200K), PW (Pure White, 4800-5300K) and CW (Cool White, 6000-7000K). The light generated by the diodes is directed by a thin, highly durable, water-resistant PMMA (Poly Methyl Methacrylate) or PC (Poly Carbon) sheet engraved with a light distribution matrix. The acrylic material is made of heat resistant resin that can withstand vibrations as well. The sheets are either opaque or transparent. These lighting fixtures deliver quality lumen output, producing full-spectrum balanced light. The optical technology utilized produces perfectly uniform light with no visible diodes or obvious glare. Some can be fitted with dimmers that would adjust illumination levels. Edge-Lit LED panel lights produce different kinds of lighting ranging from soft accent backlighting to daylight quality down lights that produce full illumination. Some LED panel lights have front bezels that emphasize the design while others have frameless styles that look more streamlined. These ultra-slim lighting fixtures have a sleek, bright and ultra-modern look. They are available in various shapes and sizes, and some manufacturers offer customized specifications as well. Ideally, a light emitting diode has a life span of 100, 000 hours. It does not burn out though; the light output is merely reduced and that usually does not occur until after 60, 000 hours of use. This means that LED light fixtures could be used for up to 6 years of non-stop usage, and for twice as long if used for only 12 hours every day. That is considerably higher than the life spans of incandescent bulbs (1, 500 to 5, 000) and CFLs (only up to 15, 000 hours). The light quality and life span are groundbreaking, but it is the energy efficiency that has catapulted LED to its present status as the best lighting solution. Reports show that the energy usage of an average LED bulb is around 6 watts, so 360 Kw hours of electricity would be utilized in its lifespan. This amount is considerably smaller compared to the 60W light bulb that offers the same light output, which utilizes 36, 000 Kw hours over the same 60, 000 hour period. It is also estimated that a 39W LED panel light could produce the same illumination output as three 30 Watt fluorescent lamps. Compared to conventional lighting fixtures, LED panel lights do not contain any mercury. The manufacturing process also produces significantly less carbon emissions. Heat sink technology also results to reduced maintenance and air conditioning costs. The substantial energy savings brought by energy efficiency and lower heat emissions make these edge-lit LED panel lights an eco-friendly lighting solution. In regards to mounting and wiring, edge lit LED flat panels work best with drop-in ceilings. As mentioned above, seismic brackets are available for securing luminaries to ceiling grids. Surface mounting and suspended mounting kits are also available on request. Our edge lit LED flat panels are fitted with high performance LED drivers featuring 100-277VAC with a power factor of 0.95 and a THD (less than 10%). Edge lit LED panel drivers are either dimming or non-dimming. Diming is compatible using 0 to 10V controls ranging from 100 to 20%.